Two bodybuilders have been charged with assault with intent to do grievous bodily harm after being involved in a brawl with locals at the popular Pot and Barrel pub in Hilton. 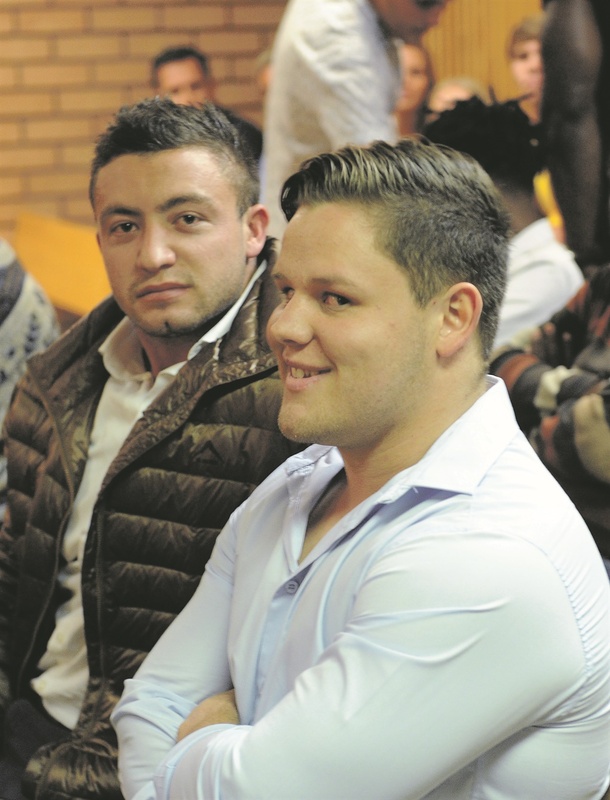 Marcus William Daniel Reeves (23) and Chad Derrick Potgieter (20) made a fleeting appearance in the Pietermaritzburg district court on Friday. It is alleged that they both assaulted Luke Adam on February 9. They allegedly pushed him, hit him with their elbows and fisted him, according to the charge sheet. Adam, an ANC Youth League member, arrived in court flanked by more than 50 supporters, holding aloft placards, denouncing the assault and calling for Reeves and Potgieter to be punished. However, they were stopped at the courthouse door and told that they could not protest within 100 metres of the building. Disappointed, but still in high spirits, they converged outside the palisade fence. Light rainfall did nothing to break up the crowd. Inside court, Magistrate Ashleigh Jennings was told that the complainant, Adam, was not interested in mediation. He adjourned the case to April for statements to be obtained. Jennings warned the young men to return to court or their R1 000 bail would be revoked. One of their bail conditions is that they are not allowed to communicate with or intimidate Adam. It is alleged that the bodybuilders and Adam, and his friends, had an altercation outside the pub. It apparently started inside when one of the friends mentioned that Reeves used to bully his brother at school. Reeves was informed of this remark and confronted the group of friends. They allegedly grabbed a young woman in the group and when Adam intervened, he was assaulted. He was allegedly further assaulted when he tried to intervene when the woman’s brother was being assaulted. Adam’s nose was broken and he had to have 30 stitches. Bheki Nkosi, the head of security at the pub, said that the bodybuilders have been banned from frequenting the establishment. Travis Grubb, a manager of the Pot and Barrel, said staff they had sufficient security inside the pub but faced some challenges when altercations happened outside, as in this case. “We have six security guards, plus a car guard and me, and we extinguish altercations quickly when they happen inside. “We do go out to attend to incidents when they happen outside, but it’s a very large area to cover,” he said, adding that staff did patrol the car park area. Grubb added that things occasionally got out of hand because alcohol made people behave badly.